Gong Xi Fa Cai! 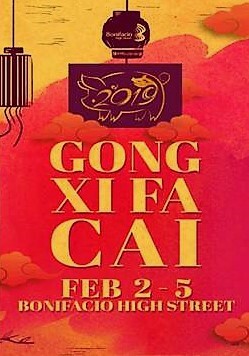 Celebrate the Year of the Pig in Bonifacio High Street starting this weekend and enjoyLittle Chinatown: A Chinese Fairfeaturinggreat finds, cultural performances, workshops, and more. Don’t miss the traditional lion and dragon dance to invite good fortune and prosperityin the coming year. Hugs are the universal language of love, be it between couples, family members, or even friends.  This Valentine’s, give the gift of hugs (and get one in return!) at the larger-than-life bears installation made of a thousand red rosesto be put up at 7th Avenue,Bonifacio High Street beginning February 9. Take a selfie showing your best hug and post it on Instagramwith the hashtags #BGCHUGSand #ILOVEBHS. BGC will pick aweeklywinner who willget a dinner date for two at Wolfgang’s Steakhouse One BonifacioHigh Street and BonifacioHigh Street Cinema tickets. 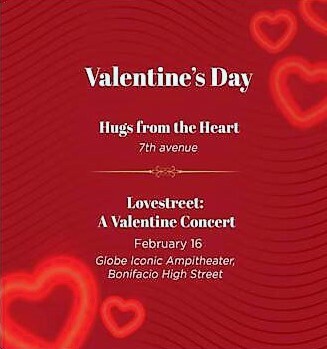 Celebrate love and local musicwith a free concert at the Bonifacio High StreetAmphitheater. 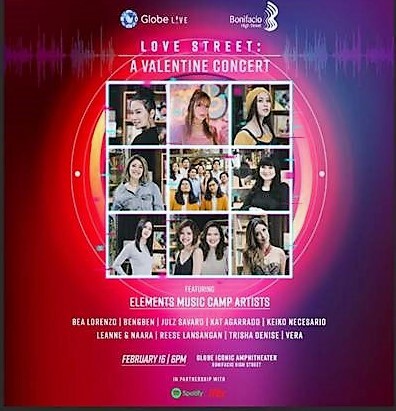 Let theElementsMusicCampArtists together with Ben & Ben, Leanne &Naara, Reese Lansangan, Kat Agarrado,and more serenade you on February 16starting at 6PM. There will be 100 VIP front seats with Meet & Greet passesto be given awayin exchange for single or accumulated purchase receipts worth P2,500 obtained from February1-16, 2019 at any Bonifacio High Street, One Parkade, and Two Parkade, Central Square (Marketplace by Rustan’sis not included), and One Bonifacio High Street establishment.